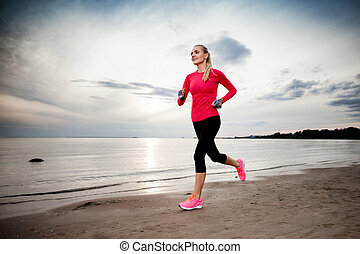 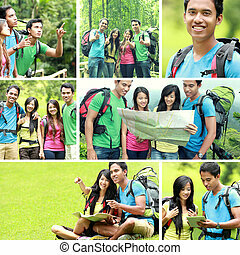 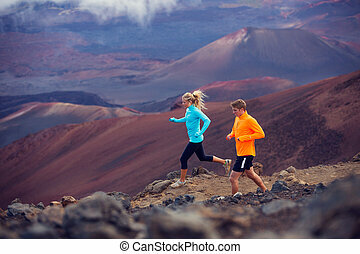 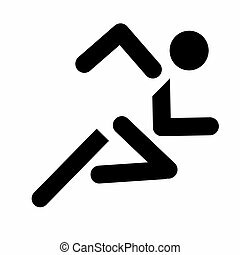 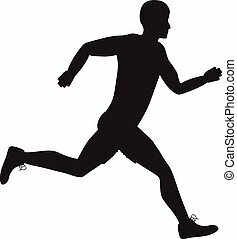 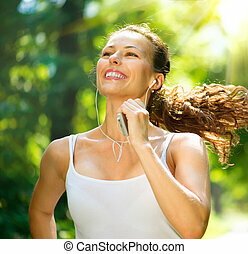 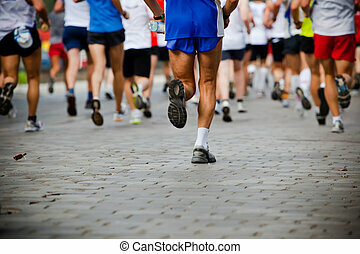 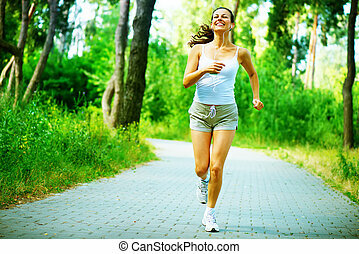 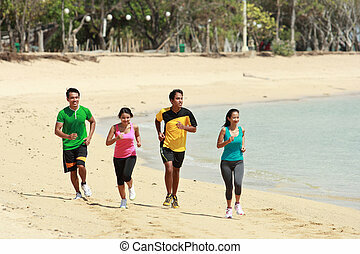 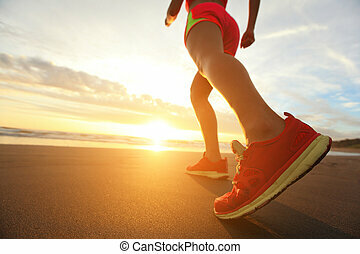 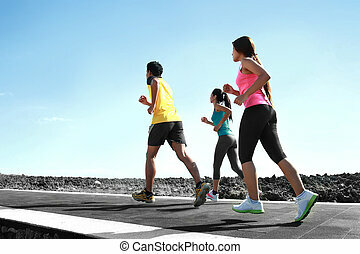 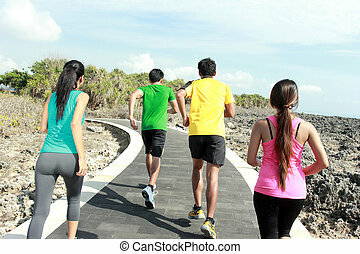 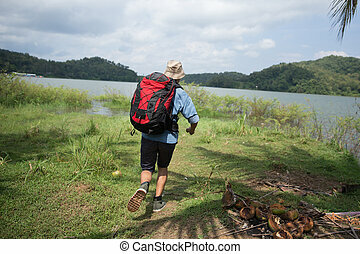 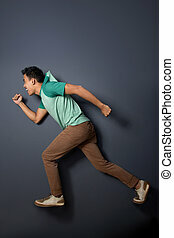 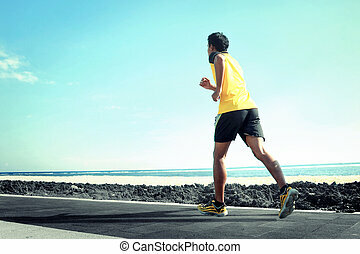 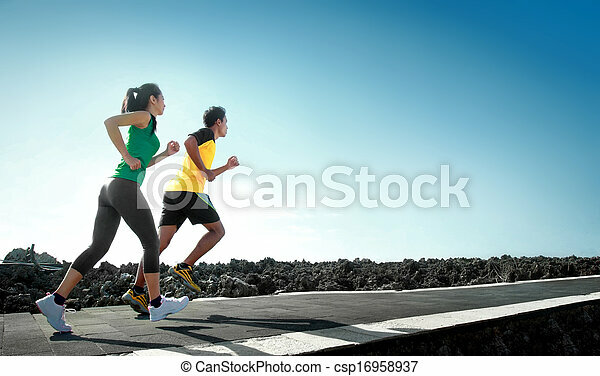 Sport people running outdoor. 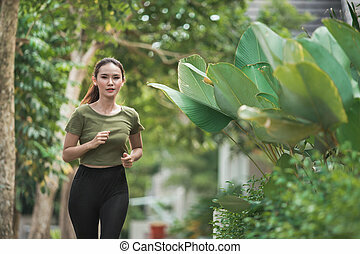 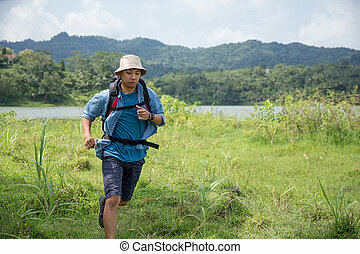 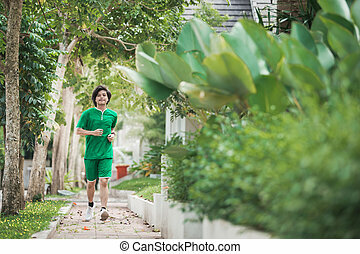 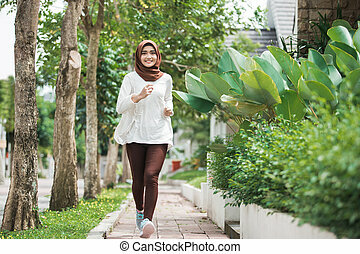 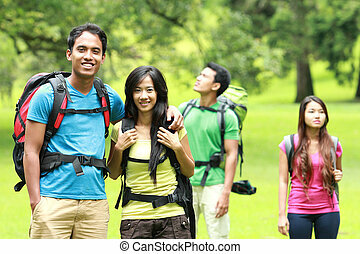 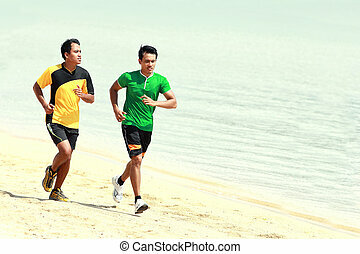 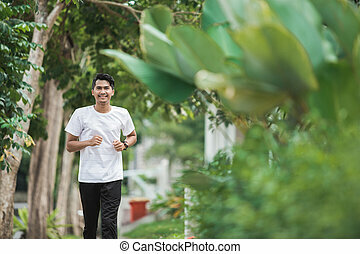 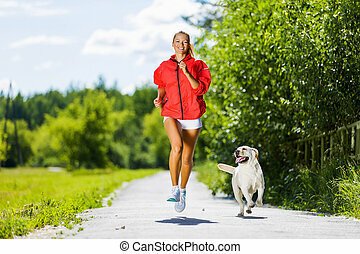 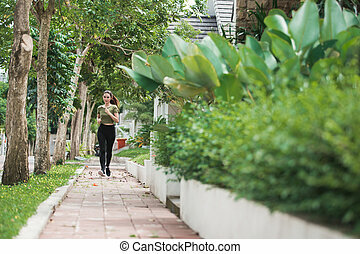 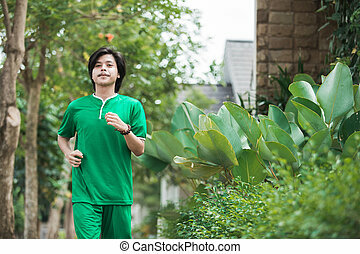 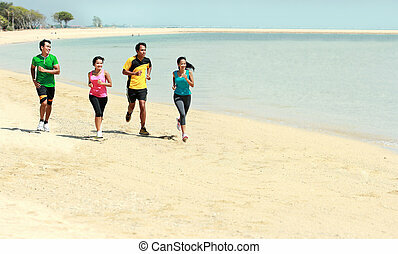 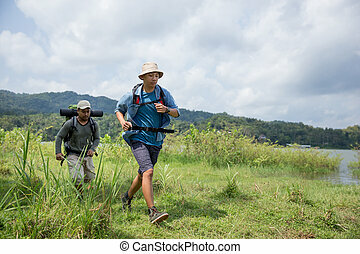 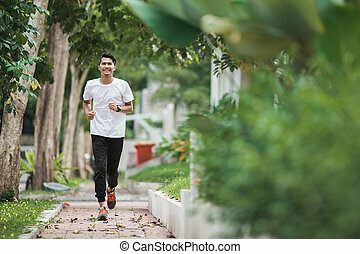 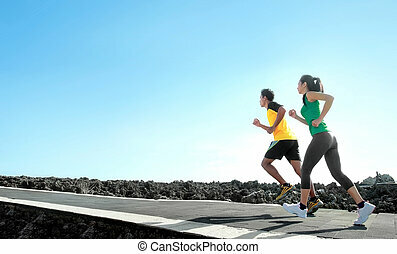 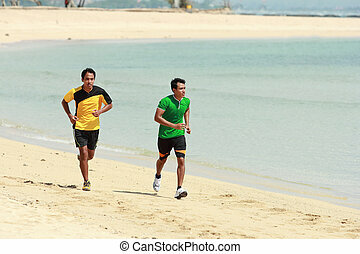 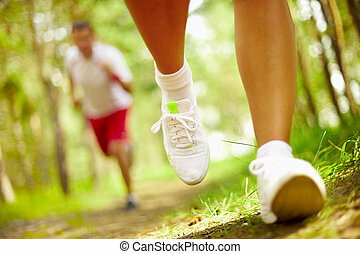 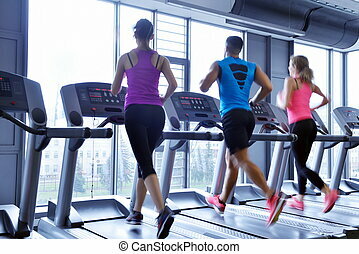 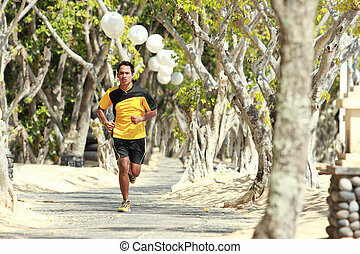 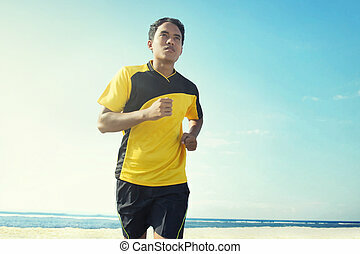 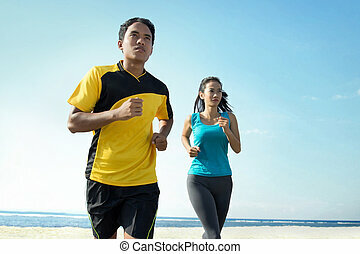 Sport - asian couple running outdoor doing exercise. 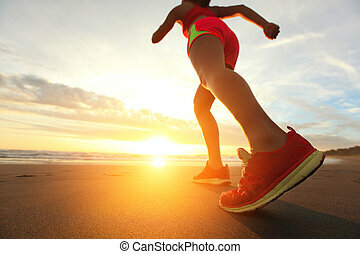 Broken twisted ankle - running sport injury.